Jason Urban is an artist, writer, and teacher living and working in Austin, TX. Originally from Northeastern Pennsylvania, Urban earned a BFA from Kutztown University in Kutztown, PA and an MA and MFA from the University of Iowa in Iowa City, IA. His prints, drawings, paintings and installations have been featured in numerous venues both nationally and internationally. Urban teaches Printmaking and Foundations at the University of Texas at Austin. 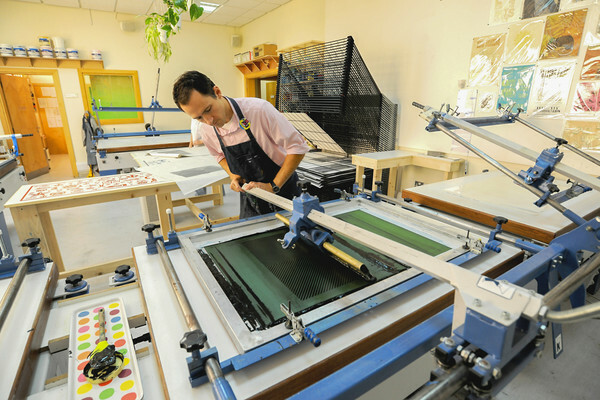 As a supplement to both his research and teaching, Urban co-edits Printeresting.org, the thinking person's favorite online resource for interesting printmaking miscellany.